At Synectic, we are all about for finding solutions to electrical interface problems without breaking the bank. A skillset, that proved invaluable during a recent development at Amsterdam Schipol Airport. 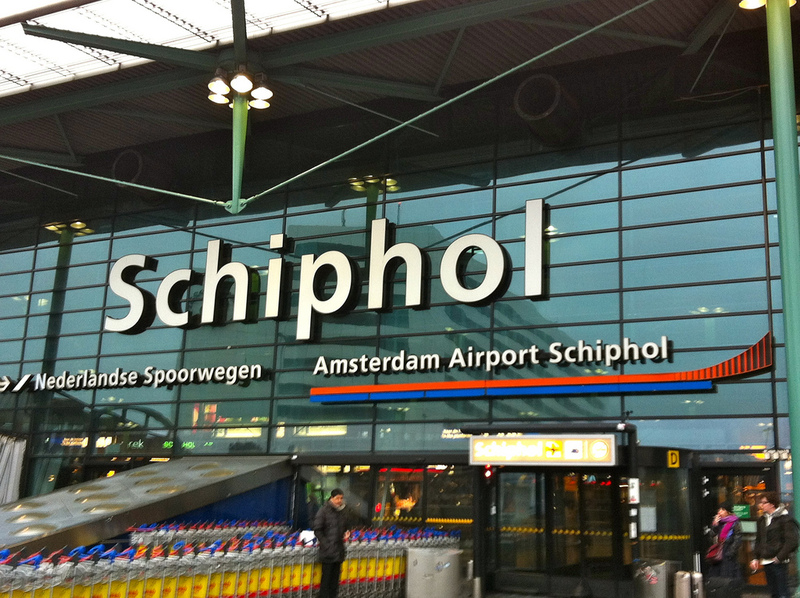 I am very fond of Amsterdam’s Schipol Airport. Apart from sounding like you are clearing your throat when you try to say it has a lot going for it. It is just as well, as for the last 15 years since the youngest son went to China, my husband Brian and I have spent many hours there transferring from flights between Manchester and any of several Chinese cities. As airports go there is a lot to be said for it friendly staff, even the customs and passport control staff don’t feel the need to make you feel like a criminal suspect. The airport is vast and on the return leg after 11 hours of sitting on a jumbo jet the walk is most certainly good for you. Miles of it with coffee shops and pancake houses. Tulip sellers and supermarkets full of Delft pottery, clogs, cheese Edam and Gouda “sounds like Louder” and the wonderful honey and ginger cakes that the Dutch call ‘Onbijtkoek’ (breakfast cake). This airport doesn’t just feel functional the architects and planners seem to have incorporated the friendliness plus some of the humour and eccentricity of the people into the design. Since 2002 there has been a permanent art display. Pieces from the Rijksmuseum are on display and you can buy scarves, spectacle cases and almost anything you can imagine with a Rembrant or Van Gogh print on it. For fear of you asking why I am telling you all this in a business blog, lets get back to how Synectic fits into this story, and how we played our small part in creating this environment. Amsterdam airport never stops growing. Back in 2014 work began on reconstructing the central security zone. Synectic was invited to do what we do best. The Airport that is cool and warm needs a fairly impressive HVAC system. 58 million people a year passing through back then needed a good airflow. During the development and testing the air conditioning fans which were being monitored by current transformers linked to a data acquisition system started to cause them a problem. When they started up they were found to have the unfortunate habit of creating 280mA current spikes and damaging the data acquisition system and tripping out the whole lot. Not cool. Whenever we pass through this airport there is a deep feeling of satisfaction., knowing that Synectic is helping it remain one of the coolest and warmest places I know.